Blessed Pope Paul VI died on August 6, 1978. He will be declared a saint on October 14, 2018. Pope Paul VI had a 15-year pontificate. His original name was Giovanni Battista Montini. Giovanni was born on September 26, 1897, in Concesio, near Brescia, Italy and died August 6, 1978, in Castel Gandolfo. He was beatified on October 19, 2014; and his feast day is September 26. He was an Italian pope of the Roman Catholic church and reigned from 1963–78. This period included most of the second Vatican Council (1962–65) and the immediate postconciliar era. He issued directives and guidance to a changing Roman Catholic church post-Vatican Council II. He is famous for his pro-life encyclical “Humanae Vitae”, which, affirmed the intimate union between conjugal love and openness to life. 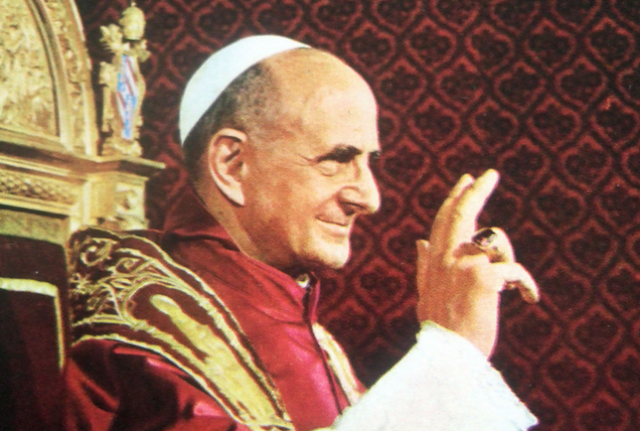 Both the miracles attributed to the intercession of Paul VI are regarding foetuses, i.e. unborn life. The miracle considered for Paul VI’s canonization was regarding a woman from Verona whose unborn child was in danger of being born dead or heavily deformed. The gynecologist suggested to the family to pray to Paul VI and then the girl was born on Christmas day that year in complete health.